Big News: I'm Moving... Maybe! I've been in my lovely little apartment on the second floor of a big Victorian house for over a year now. While I've had no desperate urge to pack up and move again, I've kept my ears and eyes open for "greener pastures" – especially since my lease is now up at any time. And in casually hunting, I stumbled across some place wonderful. I went to check it out. And I fell in love. It's a charming little two-bedroom apartment that occupies the main floor of a small, brightly painted Victorian home in one of my favorite neighborhoods. It's a five minute walk to some of my favorite restaurants, bars, coffeeshops, and market. And about a fifteen minute walk to a favorite brewery and several antique shops. It's full of historical charm from the original hardwood floors and trim to the double pocket doors to the adorable front porch. It has high ceilings and tall windows. And it's an upgrade from 500(ish) square feet to about 800. My kitchen, living room, and dining room would no longer be crowded into one space – there's a big eat-in kitchen and living room with bay windows. 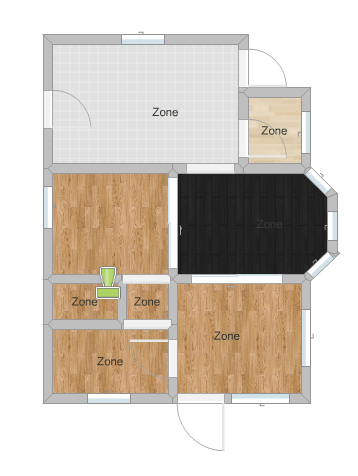 I would be giving up my spacious bathroom with its walk-in closet and antique clawfoot tub, but I'd be gaining a second bedroom that could be used as a dressing room and another extra room that would be a perfect office/library. I'd be paying more, but with the size and location I know it would be perfect. I'd have to cut back on personal spending like dining out, clothes shopping, and morning Starbucks treats, but the money would be well spent on the extra square footage, walking convenience, and driving to work through town each morning and evening instead of taking the interstate. And in some ways (like eating at home more and living farther from Target – haha! – I'd save money.) I have a very good feeling that I'd become quite the homebody in this place: reading, writing, doing crafts, making art. And I'm 100% okay with that. This isn't spatially accurate, but here's a rough idea of my "potentially next" apartment's floor plan. On a side note, I'll be needing to downsize on some belongings for a fresh start and design palette. Have any of you ever held or taken part in a virtual garage sale? I'm considering putting some items for sale up here on the blog, but I'd like to gauge reader interest first. Oooh! Good luck, girl! I am moving to Chicago in less than two weeks (from Cedar Falls) & I'm really nervous about it. But you made me want to stay in Iowa & move into a Victorian house! lol. I hope you get the apartment & I can't wait to see pictures of it & how you decorate it!!! I hope everything works out with the apartment. I think a virtual sale would be really interesting. Thank you, Amy Lou! Good luck to you with your move to Chicago! How exciting! I did get the apartment and I can't wait to start sharing pictures as I transform it into my own cozy space. 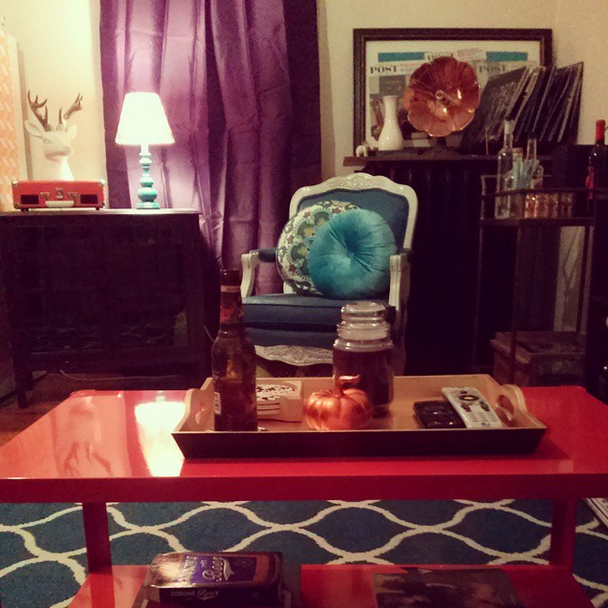 I'd love to see photos of your place in Chicago, too! Happy moving! Thanks so much, Ali Bee! It is official: I'll be moving in about a month. :D Thank you for wishing the luck my way! I can't wait to share this new space on the blog! It's full of potential projects.